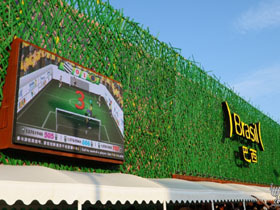 In the heat of World Expo Shanghai 2010, the flamboyant Brazilian Pavilion welcomed Chinese outbound tour operators and tourism professionals coming to attend the tourism promotion event of Brazil themed "Pulsing Cities: Feel the Life of Brazilian Cities" on May 28. 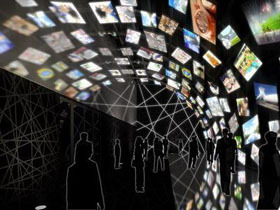 This event took advantages of multimedia technologies and the panorama stages of Brazil Pavilion to show Brazilian culture, nature, historical heritages and beautiful beaches alone the pulsing cities. The Brazilian event was attended by official delegation of Embratur the national tourism board of Brazil led by its President Ms Jeanine Pires. 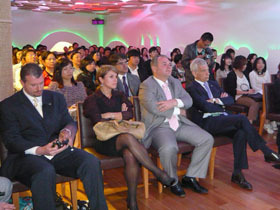 This is the second tourism promotion event that EMBRATUR staged in China within last six months following the first successful road show jontly organized with INPROTUR the Argentinean Tourism Board in Shanghai and Beijing on Oct. 27 and Oct. 29, 2009 respectively. “About 30000 Chinese tourists visited Brazil in 2009, which nearly reached 1% of the whole inbound tourists of our country. However, along with the increase of flights to Brazil from China, it’s expected that many more Chinese visitors will visit our beautiful country in the incoming years. Chinese outbound market has a great potential!” commented Mr. Gisela Mendnca, Marketing Director of Embratur. 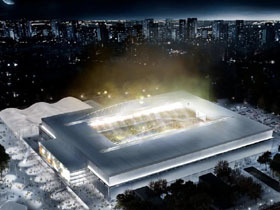 Brazil will be the country to hold the 2014 FIFA World Cup; what’s more, Rio de Janeiro will host the 2016 Olympic Games – so one of the purposes of Embratur’s promotion activities is to publicize those two important international events. 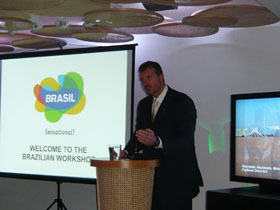 “Brazil will intensify the promotion of the 2014 World Cup after the end of World Cup 2010 in South Africa. We wish to attract visitors not only during the competitions, but also before and after this important event” said the President of Embratur, Jeanine Pires also indicated at the event that Brazil Pavilion will begin a new round of tourism promotion events from July 2010. Besides the abundant tourist resources, Brazil is a country with great economic opportunities in a vast territory, which ranks No. 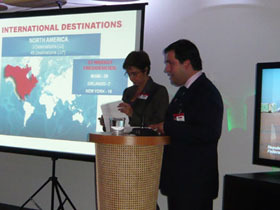 1 in the economic and marketing size among the Latin American countries. During the promotion event, attendants also got information about Brazilian economy and the endless opportunities of invest and doing business in Brazil through the specific presentation. 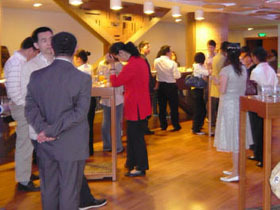 This promotion event was fully supported by the China Business Network(CBN) and World Travel Online (WTO) with targeted promotion to the outbound travel trade and invited over 60 selected Chinese tour operators and tourism professionals coming to attend the events. With very positive response and impression of Chinese tour operators to the promotion activities and the 2014 World Cup and incoming Olympic Games, Brazil definitely will be the one of the sought after destinations for Chinese visitors.